Unless you have been living under a rock, most of you are sure to have heard of the mega talented duo Avrumy Kalisch & Tuli Brull. 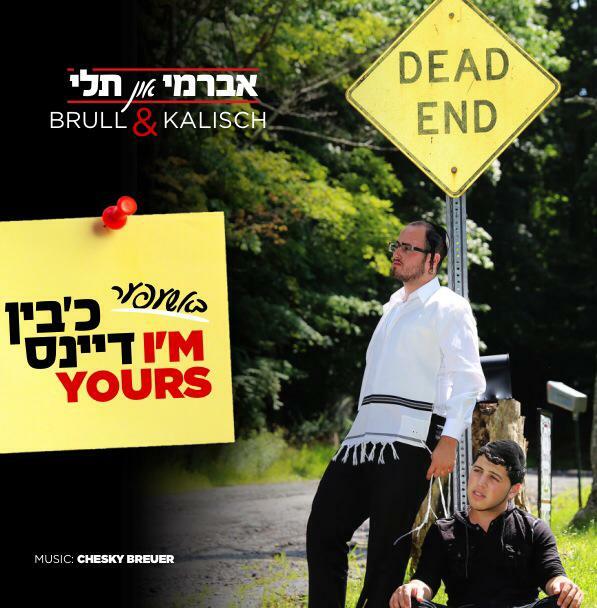 In the last few years they have done everything from releasing wedding singles (both original and covers) to popular parody’s like their most recent song A Kois A Jombo (also featuring their friend Yoely Weiss) released for Purim 2014. Realizing that people were interested in what they had to say, Avrumy & Tuli decided to cover topics that matter and that people can relate to. “Avrumy and I have a great friendship, and it’s because of that we discuss together topics which are on our minds”, says Tuli. “We are constantly visit hospitals trying to cheer up people and bring some happiness into their lives.” Through our music, we have been able to reach many people from different facets of live, from around the world and they often tell us how much they have connected with our messages. They in part, are giving US chizuk, to create more music to which we can help them go about their everyday lives. Everybody know’s their own particular situation better than anyone else does. Their struggles and hurdles. At some point people feel lost and don’t know where to turn to. And that’s where this song comes in. Bashefer I’m Yours is there to help remind people that Hashem is there and there is ALWAYS a plan. You might be taken on several detours and sometimes even feel like you’ve reached a DEAD END and have nowhere to go. That’s when you turn to Hashem and let him navigate and help you get back on track to reach your destination. Throughout the process of creating this project, Tuli & Avrumy were coached by the renowned JM producer Rabbi Ozer Babad of Xclusive Productions. The music of the track was arranged by Chesky Breuer, recorded and mixed by Baba Zohar & Nir Graff with additional recordings by Moishy Kraus of MK Studios. Cover photo by Srully Bard and design by CKD – Chaim Kraus.